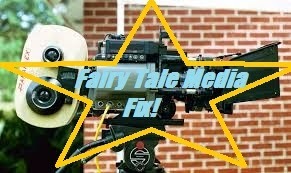 Fairy Tale Media Fix: Into the Woods. The holiday season is drawing to a close, but not without some interesting gifts. On Christmas Day this year, the folks at Mouse-Ears Incorporated (aka Disney) gave us a movie adaptation of the fairy tale inspired musical Into the Woods. This can be seen as a rather strange gift from Disney, seeing as they’re famous for their fairy tale adaptations being light, whimsical and sentimental as well as having indisputable happy endings. Into the Woods doesn’t really do that kind of thing. At least, it doesn’t do that for long. Now, I’ve seen a taped production of the stage musical before. I’ve also read all the stories utilized in the movie. However, I also know some people will be going in cold. So, I’m going to try and address this from all relevant angles. First, some background on Into the Woods. 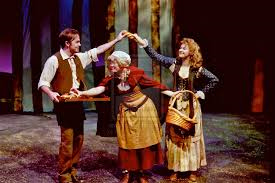 Into the Woods started as a musical with music by Stephen Sondheim and a book by James Lapine (note: “book” is the word used by theater people for the script in a musical). It debuted at San Diego’s Old Globe Theater in 1986 and went to Broadway in 1987. From that point, it went on to win numerous awards, including a number of Tony Awards. The musical has been produced many, many times. This latest cinematic adaptation is directed by Rob Marshall with a script by original book-writer James Lapine and with Stephen Sondheim working closely with them in regards to story and music. The movie follows the story of a childless baker and his wife as they try to collect various items to concoct a potion for a witch that will lift a curse that keeps them from starting a family. Like many fairy tale heroes, the baker isn’t given an actual name, so I will from here forward refer to him as the Baker with a capital “B”. Along the way, their story intersects with those of “Little Red Riding Hood”, “Jack and the Beanstalk”, “Rapunzel” and “Cinderella” (notably, the Grimm version). These characters all meet in the Woods as they try to pursue their various quests and attempt to make their wishes come true. This all leads to a “Happily Ever After” . . . that lasts for just a few minutes. You see, as the second half of the movie starts, all the loose ends from the various stories come together to create a new threat that presents all the various characters with morally ambiguous choices. Suddenly, nothing seems so simple and every move they made seems to have unintended consequences. The story, as it’s handled on screen is well done. There are a lot of subplots. Subplots can be difficult to juggle. However, as this movie deals with the theme of unintended consequences, it makes sense that the characters would weave through each others’ lives having an impact in ways they don’t even know about. The music is Sondheim. I’m not really a music critic. However, I’m sure anyone who knows about music will probably know if they will like it from that statement. The cast is good. I’m no music critic, but it seems like all of them can sing. This is a good sign. Meryl Streep is fantastic as the witch. James Corden plays the Baker as a rather lovable if somewhat befuddled everyman with father issues. He plays very well off Emily Blunt, who plays his wife and plays the part well. Anna Kendrick plays a suitably indecisive Cinderella, as the part demands. The most concern among theatergoers was the casting of Daniel Huttlestone and Lilla Crawford as Jack and Little Red Riding Hood respectively. These parts are usually given to adults on the stage whereas the Huttlestone was only 15 and Crawford was 12 at the time of the filming. Personally, I think they both did very well with material that might have been a little beyond their level. Then there’s Johnny Depp as the Wolf. Well, he was interesting for the few minutes he was actually on screen. Personally, the ones I thought stole the show were Chris Pine as Cinderella’s Prince and Billy Magnussen as Rapunzel’s Prince. However, I’m going to get back to them when I talk about the tone of the production next. Now, about the tone. For many people, the original musical Into the Woods was what brought “dark fairy tales” into the pop culture light. However, the story is also not just dark. The story is striped with dark and light. It deals with heavy themes but also adds touches of wit and parody. Many jokes are made about Jack being dimwitted or Little Red eating all the time. Even dark elements from the original fairy tales are played for laughs. I dare anyone to find a funnier take on the infamous “foot mutilation scene” from Grimm’s “Cinderella”. Then there are the princes who I mentioned earlier. 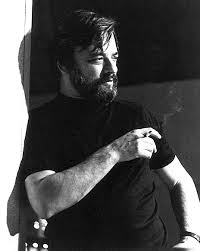 Sondheim and Lapine practically invented the modern method of making fun of the “Prince Charming” type. The princes are over-the-top dashing, daring, romantic figures. However, they also seem to practically ooze arrogance and prove to be less than capable of following up romance with loyal love. You can see bits and pieces of this take in everything from Fables and the Sisters Grimm books to Disney’s Enchanted and even to some extent in the Ever After High webtoons, depending on the targeted age of the audience. In the movie, this particularly comes out as the two croon the song “Agony” atop a waterfall while seemingly trying too hard to top each other at being the sexiest man there. Yet, while the movie can make you laugh with “Agony”, it can also do its best to draw out some tears with “No One isAlone”. Then, the whole thing manages to end on a bittersweet note, as befits a movie with a variable tone. For those who are theater buffs, I will warn you that changes have been made. Certain songs have been restaged to make them work better on film. Rapunzel’s fate has also been changed. Sadly, this means that the reprise for “Agony”, one of the funniest parts of the stage production is not in the movie (will I post a link to the reprise? Of course I will!) Also, the part of the Mysterious Man has kind of been cut while not being cut. You’ll understand when you see it. I have heard some say that it doesn’t quite have the same charm as the stage version. However, with the use of the narrator as a physical character and the older actors playing Jack and Red, the stage musical could feel kind of like a children’s fairy tale play that took an odd left turn. Like a Christmas pantomime gone horribly awry. The movie, instead, feels like a movie. As a fairy tale geek, I’m just excited to see another new fairy tale inspired film out there. Also, it gives some exposure to the Grimm version of “Cinderella”, which could use some exposure beyond the gruesome bits. I will warn you that the stage version is kind of the forerunner of all the re-spun fairy tale productions out there. So, if you watch this and feel you’ve seen all this already, then you probably have. I recommend seeing Into the Woods. It’s a good, well-made movie adaptation of the stage musical. It weaves the stories together well and deals with some really strong themes (I haven’t really touched on those much here, but I can’t give everything away). If you have thoughts on the musical, the movie or just this review, feel free to post in the comments below. However, since I have all of you still here . . . In Other Disney News . . .
Disney released the first teaser trailer recently for its Disney Channel movie Descendants, which follows a group of the teenage offspring of Disney movie villains as they go to school with the children of Disney heroes. You may recall that InkGypsy posted about this way back when on her blog. Anyway, what can we take from this other than the fact that Disney wants some of that sweet, sweet Ever After High money? Not much, seeing as it’s just a teaser. I will just say that from what I’ve read that there will be little doubt that this will be a cheesy production at least from a grown-up viewpoint. But hey, maybe it’ll be a fun kind of cheesy. 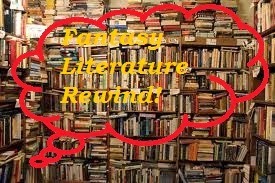 Fantasy Literature Rewind: Nutcracker and the King of Mice. Well, I will admit that it’s a classic. In fact, I actually went and watched a production of this a week or two ago. However, here’s the thing about it: unlike Swan Lake, the story for The Nutcracker was not born for the ballet. 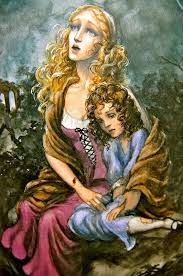 It’s actually based on a children’s story by German fantasy writer E.T.A Hoffmann. Ah yes, E.T.A. Hoffmann. Another of those influential writers that most regular joes and janes of the world have never heard of. Ernst Theodor Amadeus Hoffmann was born on January 24, 1776 in Konisberg, Prussia. The product of a broken home, he was raised by his uncle. Educated in law, he became an officer for the Prussian bureaucracy in the Polish provinces until the aforementioned bureaucracy was dissolved following Prussia’s defeat by Napoleon. After this, Hoffmann took to pursuing a creative life, becoming a composer, critic and writer. As a writer, most of Hoffmann’s stories focus on sinister or supernatural figures that pass into the lives of ordinary people. The end result is usually the revelation of the dark or tragic sides of ordinary people. One thing that actually concerned him was the idea of automata and what would happen if an automaton was actually mistaken for a real person. He actually wrote a couple of stories on this subject and one of his darker automata stories entitled “The Sand-Man” would one day end up being the inspiration for the rather light and frothy ballet Coppelia. I point these things out so that you know that “Nutcracker and the King of Mice” with its light tone and young audience is actually kind of a rarity among Hoffmann’s works. So, shall we take a look at this ballet’s source material? Of course we will! 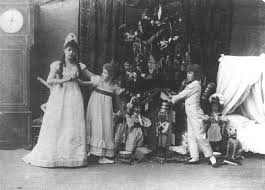 The story opens on Christmas as little Fritz and Marie Stahlbaum await the coming of their Godpapa Drosselmeier and the chance to open the gifts left for them by the Christ Child. Okay, here we have two things to talk about. First of all, the tradition of the ChristChild bringing gifts. Now, one of the things that I really like about this story is that it references German Christmas traditions that people in other countries might not know about. Now, I talked about the roots of Santa Claus in the last post I wrote. However, one thing I did not mention is that not everyone uses the Santa Claus tradition. In many European countries, the tradition goes that the baby Jesus would come in the form of a little angel and give gifts to good boys and girls. In some countries, he’s also accompanied by another figure who would carry the gifts and who was tasked with punishing the naughty children. This may seem strange to Americans who only know the Santa tradition. However, we have absorbed a bit of it as well. The name Christ Kindle (or “Christ Child”) has transformed into another name for Santa Claus, Kris Kringle, here in the US. The other thing worth talking about is the difference between the girl’s name in the story and in the ballet. I’ll get to that later on, though. Anyway, the children open their presents and Drosselmeier the clockmaker arrives with his gift for the children. It’s a big, wind-up castle with little figures that move in and out of the doors. Marie thinks it’s wonderful but Fritz is unimpressed seeing as it can only do what the machinery lets it do. Shortly after the castle is put away so that Fritz doesn’t break it, Marie spots something else nearby. It’s the ugly little figure of a man dressed like one of Fritz’s toy cavalrymen. Marie’s father explains that it is a nutcracker and meant to be shared by herself, Fritz and Marie’s older sister (who barely shows up in the story). 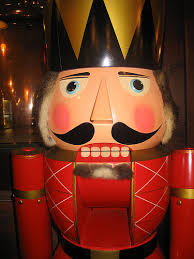 Seeing this, Fritz goes to try out the nutcracker by putting the biggest, hardest nut in its mouth. He succeeds in breaking off three of the nutcracker’s teeth. Marie is very upset and wraps a ribbon around Nutcracker’s jaw and putting him to bed in her doll’s bed. Now we start getting to part of the story that has been made famous by the ballet. Marie hangs back to put Nutcracker to bed. The clock starts to strike and she looks at it to see that instead of an owl sitting at the top, it looks more like her Godpapa Drosselmeier. Now, this is when the mice start to invade. This is followed by the nutcracker leading an army of toys, including dolls, figurines and Fritz’s toy soldiers against the army of invading mice. One of Marie’s dolls, named Miss Clara, shows a great deal of concern for the nutcracker’s safety. Here’s where we get to that interesting point I mentioned earlier. In this original story, the little girl is named Marie and she has a doll named Clara. In the ballet, the little girl is named Clara and there is no doll. It seems like such a strange, random choice to make with an adaptation. I can understand wanting to give a nod to Miss Clara considering how she seems so concerned for poor Nutcracker, but it’s ultimately a small part and one that shouldn’t usurp part of Marie’s. This sort of thing has been done in other cases, though. I’m reminded of Universal’s 1931 film version of Frankenstein in which Victor Frankenstein is renamed Henry Frankenstein and his best friend Henry Clerval is renamed Victor Moritz. Anyway, the battle rages on until Marie decides to take a hand, throwing her slipper at one of the Mouse King’s seven heads. She then passes out and wakes up to find that her parents had found her next to the toy cabinet having cut herself on a broken pane of glass. As she convalesces, Mr. Drosselmeier returns and tells her the story of how Nutcracker came to be the way he is. The basic gist is that he was Drosselmeier’s nephew who was called on to save the life of the Princess Pirlipat after she was cursed to look quite nutcracker-like by Dame Mouserink the queen of the mice. Though he saves Pirlipat, he ends up cursed himself until he can defeat her son. This is a part of the story where the prose version outpaces the ballet. 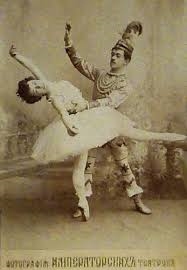 There is no back story for the nutcracker in the ballet because it would practically require them to stage another ballet in the middle of the first ballet. Anyway, after Marie gets better, the Mouse King returns. He goes to Marie and tells her that if she doesn’t offer up her sweets and toys, he’ll go and chew up Nutcracker. Marie obliges until his demands get to be too much. At that point, he tells her to help by getting him a sword. She manages to do this with Fritz’s help. This is about where I’m going to leave you. We’re closing in on the climax and I don’t like giving away endings unless I really, really have to. You may have some sense of what it’s like if you’ve seen the ballet, though. You can read an English translation of the story right HERE, though. Overall, if you like the Nutcracker ballet, I suggest giving E.T.A. Hoffmann’s original story a read. It’s a lot like the story of the ballet but longer and deeper with more background information and detail. The story is a wonderful piece with a really interesting combination of reality and dream-like whimsy. Is there any wonder this story has become a holiday classic in some form? Hey, kids! We grown-ups are just going to talk about boring things here using big, technical terms like “motif” and “archetype”. You don’t want to hang around here. Good! This is because we have to talk about the whole Santa Claus thing. Why? Well, because Santa Claus is a sort of folklore. An unusual bit of folklore from a modern perspective, too. At a basic level, Santa Claus could maybe be considered a legend. I mean, there was a Saint Nicholas, right? So, he is based on a real, historical figure of some sort. However, over the years he’s picked up bits and pieces from other places as people have chosen to reinterpret this legend. Not all these influences have been all that folk-y either. 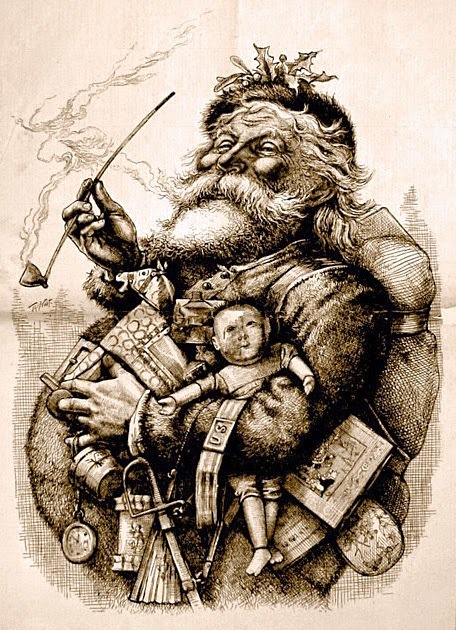 The Saint Nicholas Center claims the first use of the saint as “Sante Claus” came in 1821 with the publication of the first lithographed book in America entitled The Children’s Friend. This book depicts the saint as a man who visits children on Christmas Eve and leaves gentle toys like dolls, tops, balls and books to good children and left a “long, black birchen rod” for the parents of naughty children so that they may make them get back into line (and you thought a lump of coal was bad). The History Channel actually fills in some other gaps crediting Clement Moore and his poem “A Visit from Saint Nicholas” with Santa’s method of entry (chimney), transportation (sleigh and “eight tiny reindeer”) and his depiction as “a right jolly old elf”. 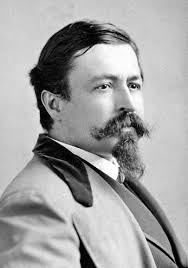 They also credit illustrator and political cartoonist Thomas Nast with giving Santa Claus his home at the North Pole, red suit, wife Mrs. Claus and lists of naughty and nice children. Santa’s elves likely first appeared in a poem in Harper’s Weekly entitled “The Wonders of Santa Claus”. Some credit Christmas elves as first appearing in an unfinished work by Louisa May Alcott entitled Christmas Elves while others say it was in engravings in Godey’s Lady’s Book in 1873. However, these are just a handful of the people who have interpreted the Santa Claus legend among many others including advertising artists with the Coca-Cola company. But one thing I want to talk about is what the Santa Claus legend is. For you see, I keep using the word “legend” even though it doesn’t fit with how we usually see the idea of a legend. Usually, a “legend” suggests some kind of folk narrative. However, there really is no story for Santa Claus except the ones that authors wrote for him. I could call it a tradition, but it’s a unique tradition that has a sense of character to it and personality. To many children, Santa is viewed as a real entity and not just something that people do during the holidays. So, he’s not quite a folk story and more than a tradition. The folklore tradition surrounding traditional gift givers and sometimes punishers of naughty children (and there are plenty of both) is a rather unique one in general. I'm not even sure what I'd call it. This brings me to my next question. Is perpetuating the Santa Claus tradition/character/legend a good idea? People are split on this one. Lots and lots of people love the idea of Santa Claus and promoting belief in him to their children. Others see it as a form of manipulation as well as lying to children. One is reminded of Natalie Wood’s character from Miracle on 34th Street and her rather cynical mother. I can see where they’re coming from to a certain extent. There is some degree of lying and sneaking involved. These are things that many parents would consider to be negative in any other circumstances. So, there is probably some feeling by parents that they are being hypocritical. Also, unlike most other forms of folklore, this is one of the few where some sort of results are expected to be delivered. Sure, there are legends that people claim actually happened. There are also ghosts stories in which people claim things are still happening. However, it’s only in the legend of Santa Claus and other ceremonial gift givers that parents are expected to provide gifts and eat cookies as a sort of proof that the legend has some veracity all while leaving the children none the wiser. There’s got to be some pressure there. Maybe this is pressure that parents do not want. I don’t know. Personally, I’m pro-Santa. It’s generally my belief that there is a difference between believing a lie and believing a legend. While lies fool us and lead us astray, legends often tend to lift us up and point us toward being better. More than a didactic means of teaching children good behavior, I see Santa Claus as a way to teach the rather Christmas-y values of hope, faith, kindness, goodwill and generosity. So, where do you weigh in on the whole Santa Claus situation? Pro-Santa? Anti-Santa? Somewhere in between? Let me know with your reasons in the comments section below. Folk Tale Secret Stash: A Baker's Dozen. It’s the Holiday Season! Yay! How time flies! It feels like just a couple months ago me and Jack O’Lantern were blogging through October. Um, actually, I guess it was. Anyway, you can expect a few holiday posts here before the new year starts. I promise we won’t get co-opted by Santa Claus or anything, though. The Halloween thing was enough. Anyway, people often have different opinions on when the holiday season starts. Thanksgiving? Black Friday? December 1st? However, most people would agree that the season includes Christmas, Hannukah, Kwanzaa and New Year’s. However, one could argue that another holiday occupies the holiday season. That would be Saint Nicholas Day which falls on December 6th, which was just two days ago. Now, a little background on Saint Nicholas. He was the bishop of Myra in Asia Minor. After he was canonized, he became recognized as the patron saint of sailors, merchants, archers, schools and children. 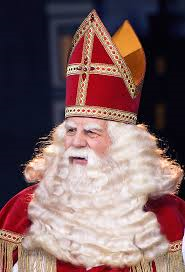 A number of different European cultures observed Saint Nicholas Day. It was believed that on that day, Saint Nicholas would travel around the world and leave gifts for children in their shoes. Over time, this tradition would start getting worked in with other traditions having to do with Christmas or New Year’s. Anyway, one of the cultures that observed this tradition was that of the Dutch, who called Saint Nicholas “Sinterklaas”. They even brought the tradition with them to the New World when they settled what would become New York State. That is where the story of “The Baker’s Dozen” begins. Now, the story starts in the early days of Albany, New York back when it was still known as Beverwyck. In this town, there lived a baker named Volckert Jan Pietersen Van Amsterdam (we’ll just call him Van Amsterdam for short). It was around New Year’s (the tradition having started to shift already) and he was baking gingerbread cookies in the shape of Saint Nicholas for the New Year. Now, this day, a witch walks in. She comes to the counter and asks for a dozen Saint Nicholas cookies. Van Amsterdam counts her out exactly twelve cookies. The witch notices this and complains that he stiffed her one cookie and that a proper dozen is thirteen (the English actually started the original baker’s dozen tradition because of laws saying a dozen loaves of bread had to be above a certain weight). Van Amsterdam then gets into a heated argument with the woman and essentially shoves the box into her hands saying he would not give her the extra cookie. Upon leaving, the witch cast a curse on the man and his bakery. 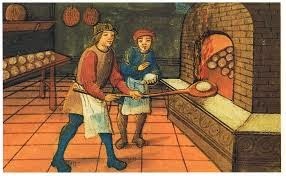 The next week, nothing went right in the bakery. Nothing he baked turned out right. Cakes were stolen from out of his shop window. Some loaves of bread he baked were so light they floated out the chimney. Others were so dense and heavy the broke through the floor. His cookies lost their flavor and his cakes collapsed. Eventually, the witch came back. Still, Van Amsterdam would not give her a count of thirteen cookies. After that, it got worse. The poor luck got even worse and even extended to his family. His children would get tears in their clothing for seemingly no reason. Whenever his wife visited the shop, she would be struck by a sudden deafness. It even seemed as if the bakery was haunted by spirits. Customers started to be driven away. At this point, Van Amsterdam decided to call on some assistance. He prayed to Saint Nicholas. That night he had a vision of the saint and . . . Wait a minute! What am I doing? I’ll give the ending away. I don’t want to do that. Anywaym, if you want to read the story, a good place to find it is on American Folklore’s website where it can be located right HERE. This story might not be a real fairy tale or even as obscure as some of the others I’ve spotlighted. However, it’s rare that I get to focus on a story that is so close to where I call home. I live in Watervliet, which is just a hop, skip and jump from Albany. 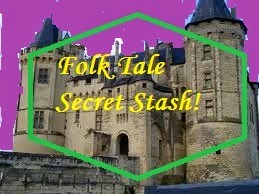 So, I hope you enjoyed this special holiday Folk Tale Secret Stash. More holiday goodness is yet to come. 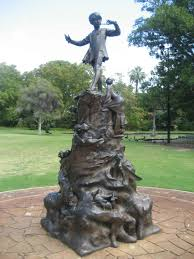 Fantasy Literature Rewind: Peter Pan. Between last night’s Peter Pan Live on NBC, the release of the trailer for the upcoming movie Pan and TV shows like League of Pan and Wendy and Peter supposedly in the pipeline, it seems we’re flying headfirst into a storm front of Peter Pan related popular culture. It’s no surprise, actually. The story has captured people’s imagination since it first appeared in 1904. Also, it’s only been in recent years that people have been able to reimagine Peter Pan with impunity as it has passed into the public domain. For a long period of time, the rights to Peter Pan were owned by The Great Ormond Street Hospital, Britain’s premier hospital for sick children, granted to the institution as a gift by J.M. Barrie and a great support for their endeavors. Yet, despite having rights that were a bit restricted (for a good cause), Peter Pan has continued to be put into play by various people. It has been adapted and reimagined into movies, comic books, broadway musicals, ballets and cartoon shows (including my favorite Fox’s Peter Pan and the Pirates) as well as a beloved Disney animated film and has leant its name to everything from peanut butter to a bus line. So, I think now is a good time to talk about Peter Pan here on Fairy Tale Fandom. However, what can be said about a story that’s already been so well-used? First, let’s take a look at some of the background of the author and the story. James Matthew Barrie, the author of Peter Pan, was born to a poor family in a remote Scottish village. He was the ninth of ten children. The great hope for his family was his older brother David, who was a good student and planned to go to Edinburgh University. However, that all changed when David died in a skating accident. James was then dead set on taking David’s place. Barrie succeeded, writing a number of successful stories and plays. However, in a strange way, his life mirrored his most famous characters. J.M. Barrie never seemed to grow up. Though he got older, he always seemed to be an unusually youthful looking man with a fondness for childhood games. Also, his few failed romances with women were often reputedly more based on a sort of childlike fondness rather than physical attraction or any kind of deep, adult connection. The relationship that would define Barrie’s life and career was actually with a whole family. 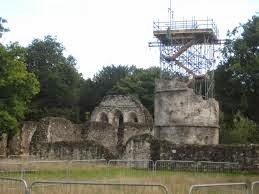 The story goes that he was walking his Saint Bernard in Kensington Gardens one day when he happened to make the acquaintance of the Davies family, notably little George and Jack Davies. Over time, Barrie would become like a sort of adopted uncle to the boys and their influence would be one of the inspirations for Peter Pan. There’s also been some speculation about Barrie’s relationship with the Davies family. I won’t go into it much, but here’s a link to a post on Tales of Faerie that will send you in the right direction. The story itself first emerged as an idea in Barrie’s book The Little White Bird. A chapter of this book is often reprinted under the title Peter Pan in Kensington Gardens. The story as we know it now, though, was born for the stage. The original “Peter Pan” was written as a traditional British pantomime. Unlike its American connotations, the English usage of the term “pantomime” means a play for children. Pantomimes are generally a tradition around the Christmas holidays. They generally have certain stock characters. There are the Principal Boy and Principal Girl, both of whom are played by young actresses. There’s a Good Fairy and sometimes a Bad Fairy. There’s the Demon King, or the main villain of the piece. Then there is the Dame, which is usually played by a male comic in drag. Here, Peter and Wendy are the Principal Boy and Principal Girl. Tinkerbell is Good Fairy and Bad Fairy rolled into one. Captain Hook is the Demon King. The role of the Dame here evolves into the role of the Dog, or Nana who is usually played by an actor going about on all fours. 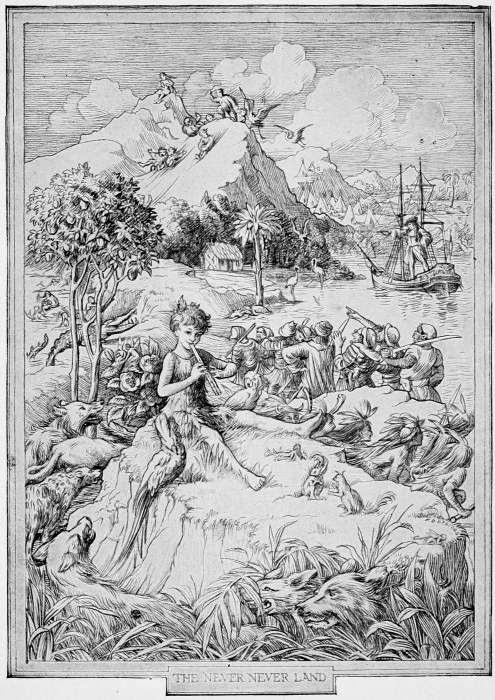 The play was so popular that Barrie adapted it into a novel entitled Peter and Wendy which is still published today, though usually under the title Peter Pan. So, we all know the story. Peter Pan shows up to whisk the Darling children away to Neverland, where they encounter Indians, Lost Boys, mermaids and it all eventually builds to a showdown with Captain Hook and his crew. The story itself is cobbled together with traditional bits and pieces of adventure fiction and pantomime. The desert island and the underground hideaway are classic settings. Pirates and Indians are classic adventure fiction elements, though probably not often featured together. Peter himself, on the surface, seems to be a preadolescent version of the forest god Pan. However, it’s how Barrie works these and other elements that make the story work. There’s added nuance that elevates the story. I’ve actually had the chance to read the play for the first time and was surprised by a few things. Strangely enough, it’s the Darling family that struck me this time. The popular Disney version depicts the trip to Neverland as being like a dream for the children that leaves Mr. and Mrs. Darling none the wiser. However, the original play shows them as being quite aware of their children’s disappearance. In fact, it’s Mrs. Darling who captures Peter’s lost shadow. Then there’s Mr. Darling. Best remembered as a stern, stiff man who tolerates no tomfoolery and has a devil of a time getting his necktie tied. He seems to be the consummate adult. While this seems true on the surface, the play shows a little bit of something else coming out under the surface. Though he lectures Michael to “be a man” and take his medicine, when presented with his own medicine he avoids taking it and actually slips it into Nana’s water dish under the pretense of a joke. He also shows a bit of a playful side, teasing Mrs. Darling at one point and callsw her a “cowardly custard”. It’s like there’s a little bit of the boy slipping out from the man, though he’s trying his hardest to hide it. The rest of the nuance and subtext has been discussed by scholars a million times over, but I suppose I should mention it anyway. There’s Wendy, Tiger Lily and Tinkerbell’s unspoken infatuations with Peter, that he is unreceptive to. There’s the crocodile and his ticking clock representing the march of time as it hunts down Captain Hook unto his death. There’s the conflict between youth and age represented by the conflict between Hook and Pan. There’s even the fact that no one touches Peter through the entire play, as if to represent the fact that youth is fleeting and cannot be held onto. The most notable thing, though, is the character of Pan himself. It’s easy to write him off as this delightful little boy who gets to play and have fun forever. However, in many ways, Peter is an antihero. While he may be playful, adventurous and loyal to his friends, he’s also cocky, thoughtless and unable to really take anything seriously. It’s these negative traits that make him most memorable. We’d also be remiss not to mention Peter’s forgetfulness. It’s as if he’s constantly trying to live in the present moment, ignoring the consequences of the past. There’s a darkness to Peter Pan. Many modern writers see it, but I don’t know if they quite recognize what they’re seeing. For example, Once Upon a Time wrote Peter Pan as a conniving adult villain who willingly trapped himself in a child’s body. While some people enjoyed the take, it didn’t feel quite right. It’s easy to see the desire to stay young as Peter’s darkness or his way of leading children away as his darkness, but I see it lying in his childlike nature. It’s Peter’s inability to accept and understand the adult world and the consequences in it that makes Peter dark. He goes to war with pirates, killing a number of them and facing great danger, but treats it all like a game. To him, none of it is really real. It’s just playtime. He even comments at one point “I forget about people after I kill them” (note: I’m paraphrasing). However, I think one thing that many people don’t see in Peter Pan is the tragedy inherent in the character. For a character that is so famously cocky and forgetful, he is very much ruled by fear and the memory of his past. Peter states more than once that “To die would be a very big adventure”. This shows that he’s not afraid of anything, up to and including death. However, there is one thing he’s afraid of. It’s the one thing that pretty much every child is somewhat excited about: growing up. On top of this, Peter carries around bitterness from the one time he actually tried to return to his true family. He flew back to his own window expecting it to be left open but found it locked and a new little boy sleeping in his bed. Feeling rejected and betrayed, he harbors a dislike and distrust of real mothers. So, Peter lives his life in a perpetual, forgetful childhood, making friends and ultimately having to say goodbye to them as they decide to grow up and move on. He never really realizes what he misses by not growing up. If he had, maybe his credo would be “To live would be a very big adventure”. Interestingly, the movie Hook actually acknowledges this side of Peter Pan but also flips the script to change Peter from a boy afraid of growing up to an adult who’s afraid to remember what it’s like to be a child. Okay, I went a little deep and dark with this one. However, next time you see that Peter Pan peanut butter on the shelf or a Peter Pan bus go by or even watch the Disney movie, maybe you’ll remember that there’s a little bit more going on underneath that cheerful, adventurous façade.